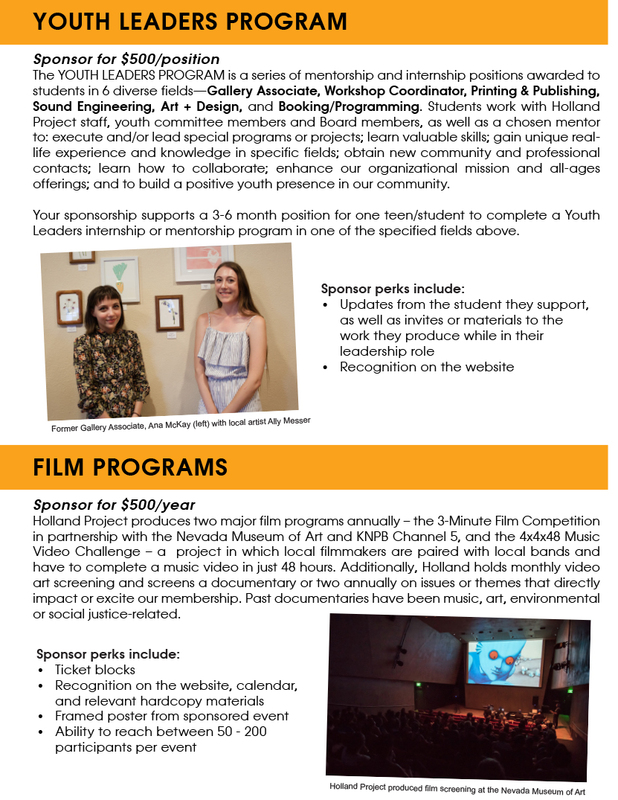 Holland has many worthy programs in need of sponsorship! 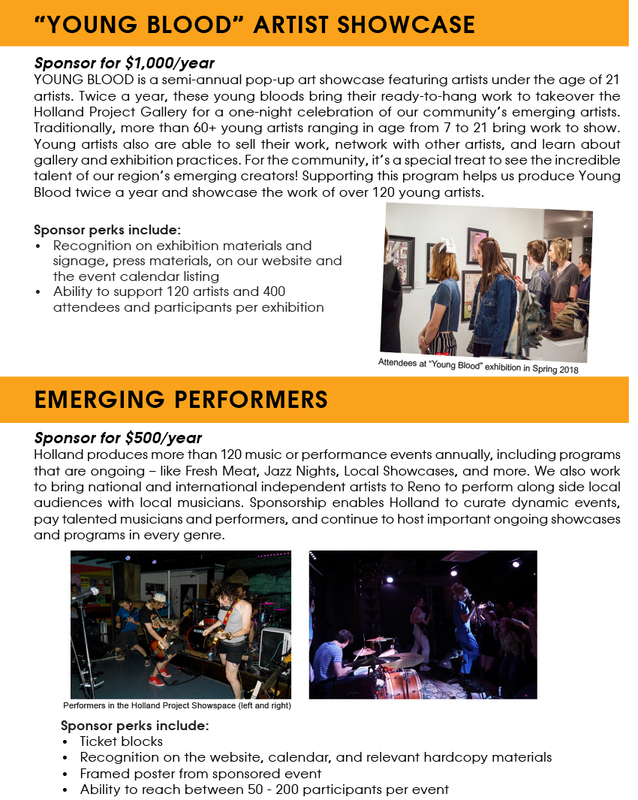 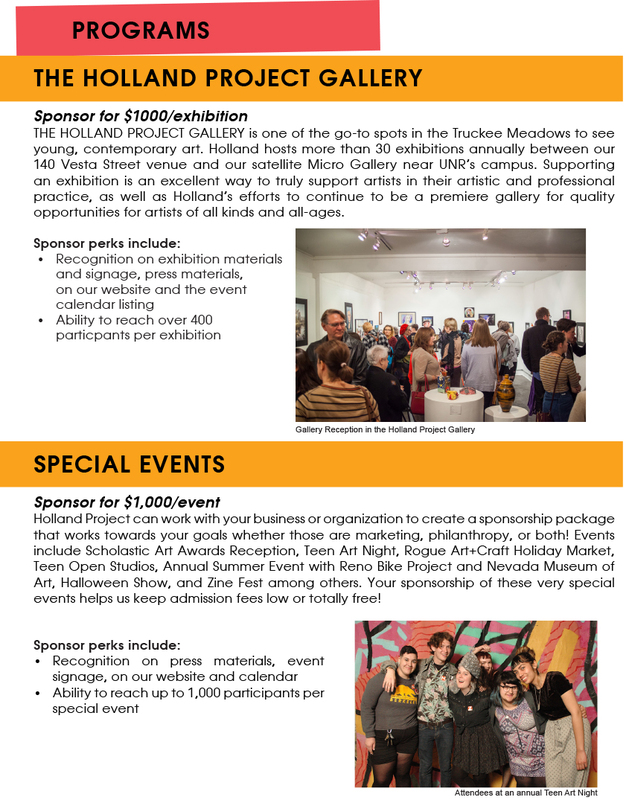 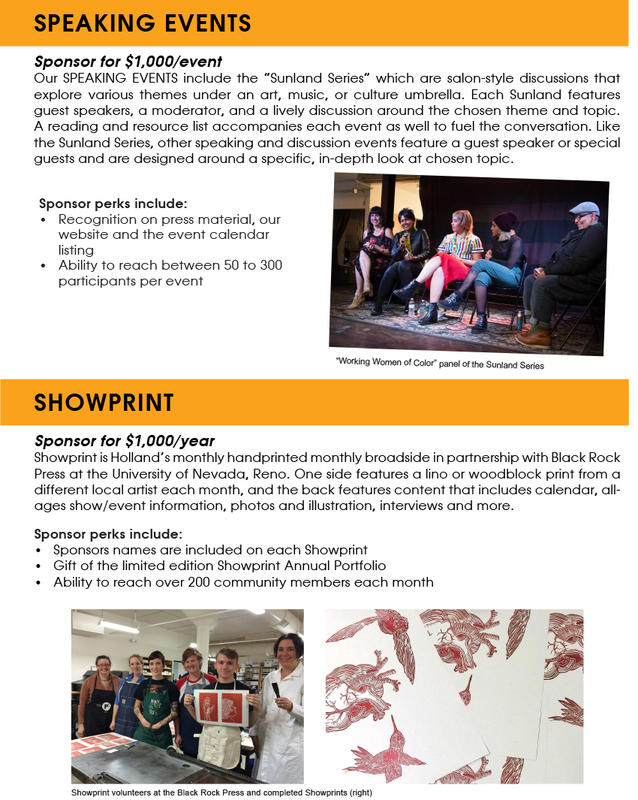 Sponsorship helps Holland sustain these important programs, reach more young people in our community, support artists and musicians, provide opportunities in a variety of arenas, and continue to operate and execute events and programs with both vision and quality. 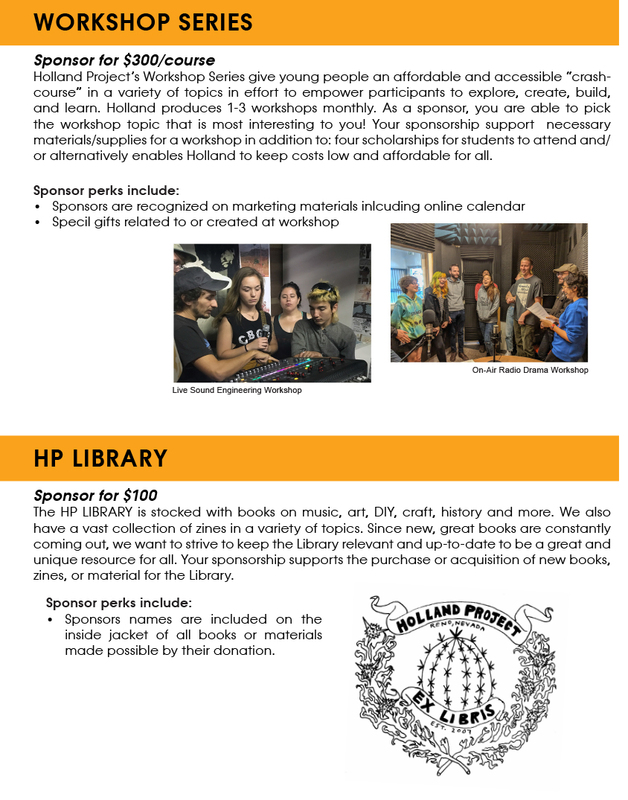 View or download our GIVING PACKET, or check out Holland Project programs in need of sponsorship below. 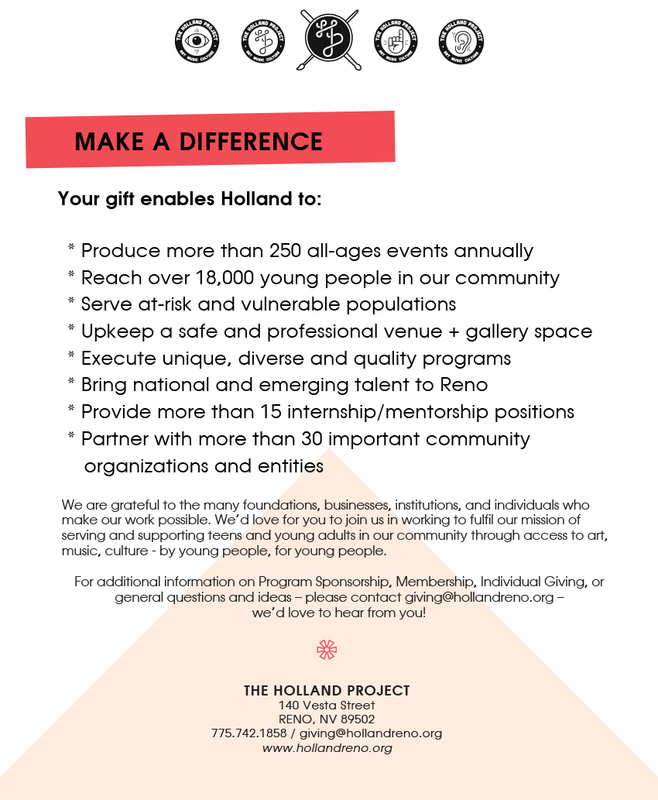 For additional information or to chat about becoming a Program Sponsor, please email giving@hollandreno.org.